Regarded as the eastern gateway to the Cotswolds, Burford is one of England's most picturesque small towns, situated next to the River Windrush. Burford built its reputation on wool, quarrying and coaching and its heyday as a coaching town came in the 18th Century when it was an important stop on routes to Oxford and London. 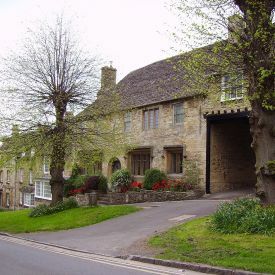 Burford is well known for its steep High Street with its many inns, but there is much more to admire about the town which is full of lovely Cotswold stone houses with hidden secrets that can be seen through narrow alleyways and courtyards. The 16th Century Market Hall houses The Tolsey Museum which illustrates the town's social and industrial past. St John the Baptist Church is a gem with many interesting memorials and other buildings of historic interest include the 17th Century Great House and a row of handsome almshouses. 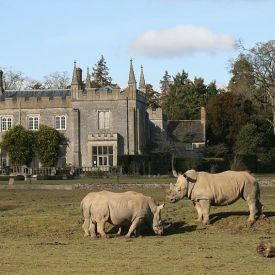 Burford's beauty, history and interesting shops make it a popular destination for visitors and it is also one of the major centres for the Cotswolds' antiques trade.